From our offices in Brisbane, AsQuick IT delivers industry-leading Office 365 managed services Brisbane to small and medium businesses in the wider Brisbane area and from Gold Coast all the way to Sunshine Coast. Our certified professionals are highly adept at administering, monitoring, and managing Office 365 environment. This ensures that your business benefits from the full feature set of Office 365. We make you feel confident in your move to Cloud computing with the right support. What is Managed Office 365 Service? Office 365 provides you with the latest diversities of Microsoft Office and a variety of collaboration and communication tools including Skype for Business, SharePoint Online, and Exchange Online to help your business meet its requirements. Not to mention that these applications are available on pay per use billing model. This allows you to buy as well as deploy as required while envisaging monthly costs. At AsQuick IT, we have a range of deployment options, plans, and local IT support Brisbane that ensure you are fully covered. 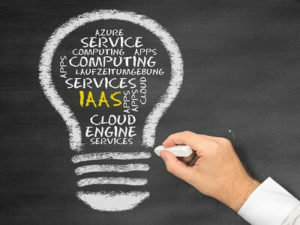 Why Our Office 365 Managed Services are Unique? AsQuick IT experts provide enterprise-grade Office 365 managed services with a deep technical bench of technology platform experience, strategies, and IT best practices. We are qualified to work together with your business to either help you convert your technology difficulties into strategic business assets or support your internal IT team by taking up sustainment responsibility. We, at AsQuick IT are firm believers of honesty. Our entire support team of Office 365 managed services is based as well as operated in Brisbane. As true managed services providers, we maintain our honor by providing you with full accountability and transparency for the services we deliver with full performance reports, monthly meeting minutes, and cost breakdown. Cloud computing brings enterprise technology to small and medium businesses in Brisbane. However, you need a renowned service provider. At AsQuick IT, our Office 365 managed services Brisbane are made with a different incentive. Whether it is Office 365, Azure, System Center and Skype for Business, Exchange, SharePoint or your entire IT infrastructure, AsQuick IT experts have got your business covered, allowing you to pay more attention to what really matters. We ensure that you no longer have to deal with in-house servers in order to host Outlook. Basically, you get to remarkably reduce IT management costs. All the upgrades and updates are automatically taken care of by Microsoft. In the event that your in-house servers are crashed, due to cyber-attack, a weather event, or a hardware failure, worker production would come to an end. Not to mention how costly such server crashes can be. However, Office 365 keeps your emails, apps, and files safe and readily available in the Cloud. Are you worried that you are not using Office 365 capabilities to their full potential? Managing and supporting Office 365 may be time consuming and complex. Therefore, it can be challenging to plan special projects and train end-users with new releases, compliance, and security. Therefore, you need an external partner who can deliver Office 365 managed services that are way better than standard Microsoft solutions that is neither proactive nor responsive. At AsQuick IT, our custom and comprehensive managed Office 365 services are made to help your business leverage Cloud computing without the financial burden of employing an in-house information technology team or incur infrastructural costs. Moving your business’ work flows to the Cloud needs superior management in order to maintain operational integrity. We provide several managed Office 365 services to guarantee scalability of your business’ Cloud adoption strategy. We start by assessing the Office 365 plan that is most convenient for your small or medium business in Brisbane, and then setup your Office 365 subscription in the event that you do not have one. All your Office 365 subscription costs are payable monthly. As the leading provider of Office 365, we will ensure that you receive the maximum remunerations of Office 365 by providing the best practice guidance, driving consumption, and support the platform. We will engage your business in upfront discovery as well as design of your deployment model. We will also take an advice-giving approach. A big section of the services we offer is working with you to identify when and how to implement Office 365. At AsQuick IT, we welcome businesses at all stages of Office 365 deployment. Regardless of how and when you come to us, we will help you offload the burden of managing Office 365 alone with our Office 365 managed services Brisbane.